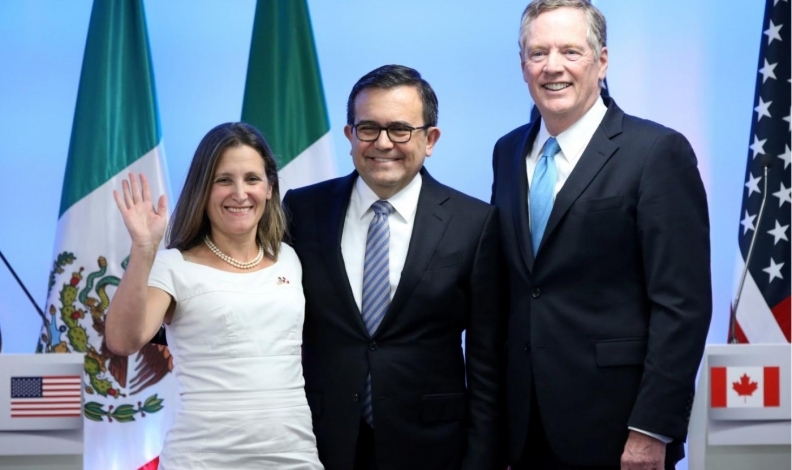 Talks toward reworking the North American Free Trade Agreement are progressing well, even though the United States hasn’t made detailed proposals in some of the most divisive areas, Canada’s chief negotiator said. Steve Verheul, speaking to reporters Sunday in Ottawa during the third round of talks, said the tone remains constructive and there’s no signal the United States will walk away, though he said several U.S. proposals have yet to be revealed. Verheul’s comments came after Jerry Dias, the head of Unifor, Canada’s largest private-sector union, said he doesn’t expect a deal by the end of the year and criticized U.S. negotiators. Dias, who represents thousands of autoworkers in Canada, isn’t in the closed-door negotiations but is among union leaders working closely with Prime Minister Justin Trudeau as he presses for NAFTA reforms on labour. Verheul and Dias spoke on the second of five days during the third round of talks. Key subjects such as labour and rules of origin, which govern how much of a product must be made within NAFTA countries to benefit from the pact, are set for negotiation on Tuesday and Wednesday. The United States hasn’t made detailed proposals on automotive rules of origin, dairy or the Chapter 19 dispute settlement, Verheul said. Overall rules of origin are being discussed “in depth,” he said. The countries have “a shot” at concluding some chapters during the third round, which runs until Wednesday, he said. Another Canadian labour group called on the U.S. team to treat Canada’s labour proposals more seriously, saying there are reports the United States isn’t relaying Canada’s proposals to its stakeholders.